The Irrawaddy rounds up ten ways to celebrate the New Year. 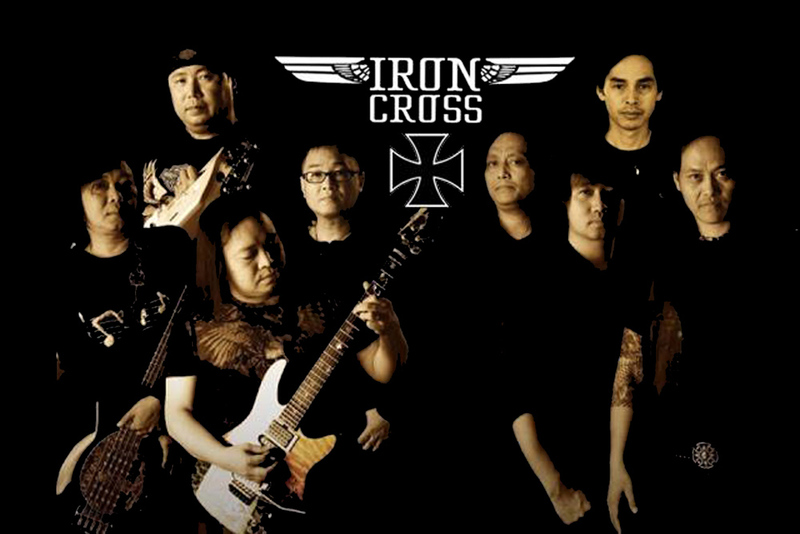 Bid farewell to 2016 and welcome the New Year with Burma’s celebrated rock band Iron Cross. Dec. 31, 9:30 pm. People’s Park and People’s Square. Free Show. 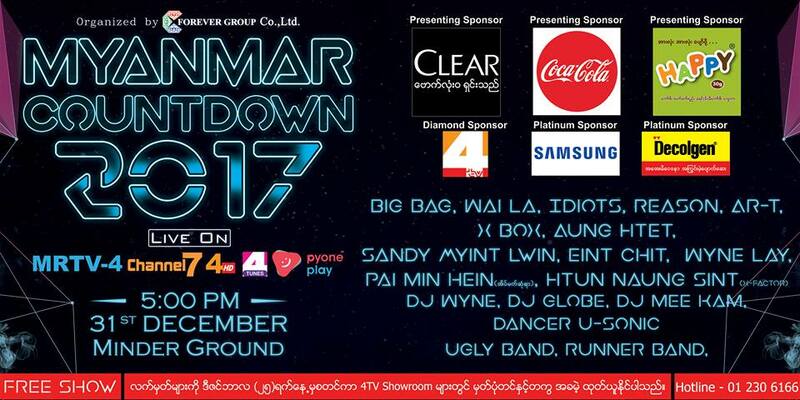 Chart-topping Burmese singers and DJs including Big Bag, Wai La, Sandi Myint Lwin and DJ Wyne will be there to countdown to the New Year. Live on MRTV-4, Channel 7, and 4HD. Dec. 31, 5 pm. Minder Ground, Myoma Kyaung Street. Bring your national IDs to get free tickets at 4TV showrooms. 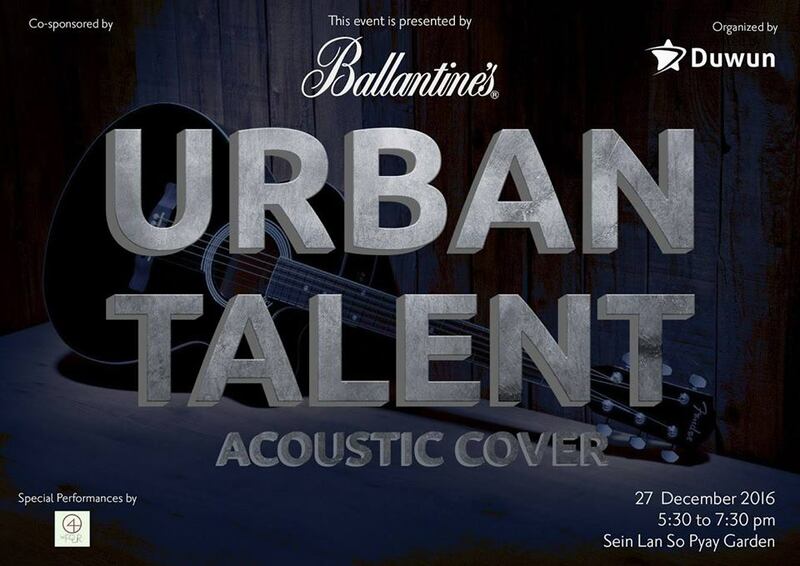 Watch teens compete in the Urban Talent acoustic cover contest at Inya Lake. Dec. 27, 6 pm – 8 pm, Sein Lan So Pyay, Inya Road. Nearly a dozen Burmese veteran traditional music singers will join Ni Ni Win Shwe on stage. Dec. 30, 7 pm. National Theater, Myoma Kyaung St. 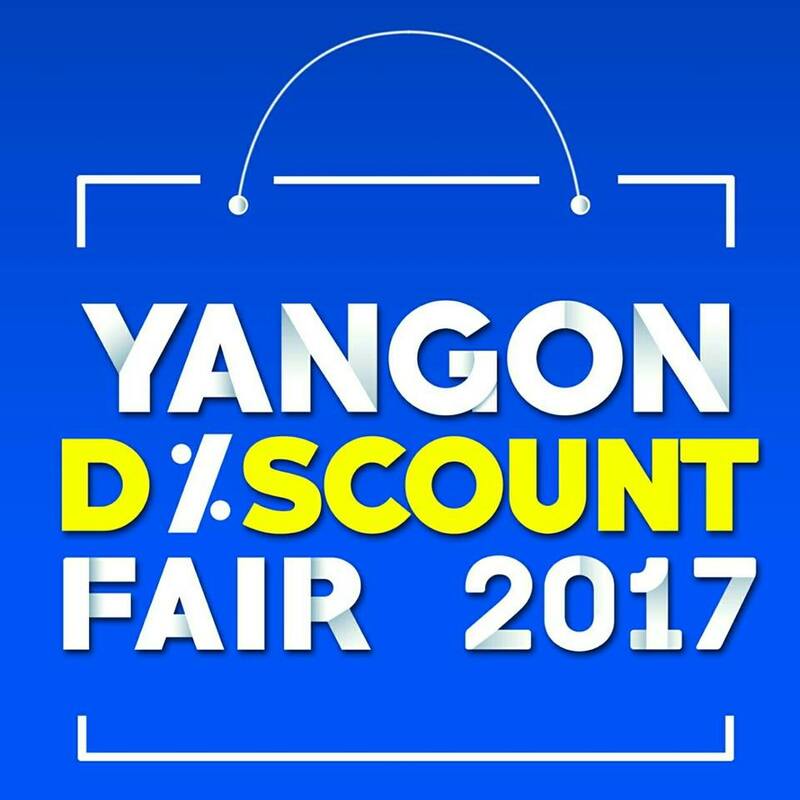 Ticket prices between 7,000 and 30,000 kyats available at 09-451010789 and 09-965010789. Dozens of artists and dancers will join this concert dedicated to orphans. Dec. 31, 7 pm. Golden Park Korea Spa Land, Panglong Street, Dagon (North). 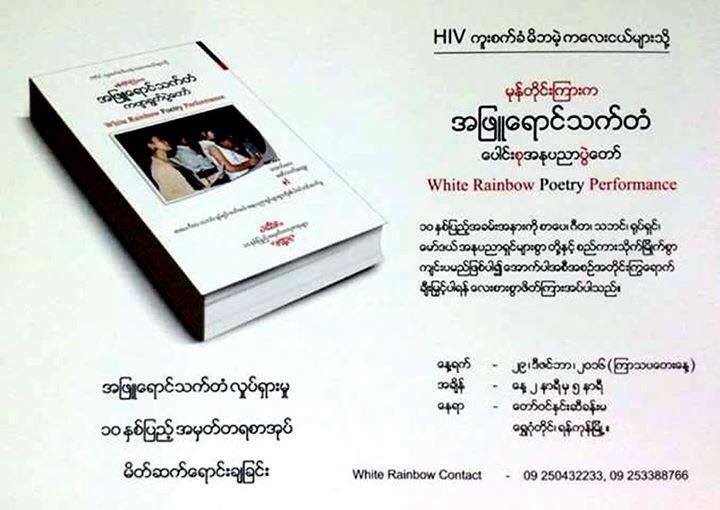 Join the 10th anniversary of the White Rainbow poetry event. This initiative of artists and poets to care for HIV-infected orphans will be held featuring poems, songs and performances. Donations will be accepted for orphans living with HIV. Dec. 29, 2 pm – 5 pm. Taw Win Hnin Si Hall, Shwegondaing. All proceeds from this concert go to philanthropic activities of U Kyaw Thu, the founder of Free Funeral Service Society (FFSS). Souvenirs will also be sold. Jan. 1, 9 am. FFSS Office, North Dagon Tsp. A wide variety of household and consumer goods will be up for grabs at discounted prices. Jan. 2-4, 9 am – 5 pm. Tatmadaw Hall, U Wisara Road. 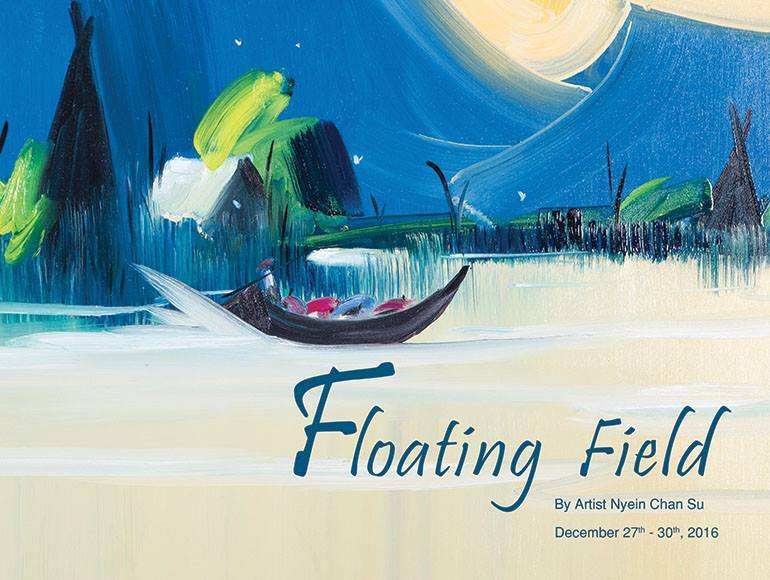 This solo art exhibition by artist Nyein Chan Su will feature 15 oil paintings depicting his memories of Shan State’s Inle Lake. Dec. 27-30, 10 am – 6 pm. 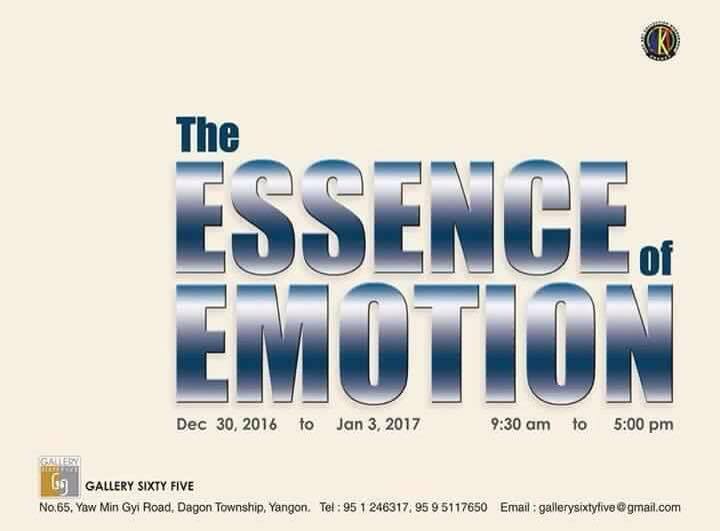 The Yangon Gallery, Pyay Road, People’s Park & Square. A group art exhibition of nine artists will showcases around 50 oil paintings, watercolors and acrylics. Dec. 31-Jan 1. Gallery 65, No. 65, Yaw Min Gyi Road, Dagon Tsp.